Home / News / Product News / We are the Gaffa of Tapes! 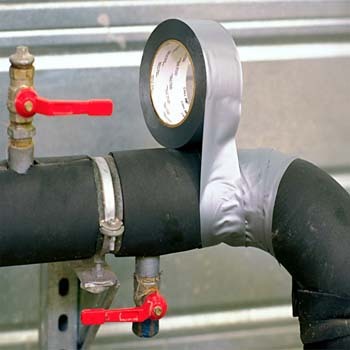 Gaffa Tape which has many names including Duck Tape, Duck Tape, Elephant Tape , Gorilla Tape, Cloth Tape, Material Tape, Waterproof Tape, Gaffa Tape and more is a super versatile Self Adhesive Tape which not only has a lot of names it also has literally thousands of uses! This material base has a heavy coating of strong and permanent adhesive, it grabs hard and fast to most surfaces. However, it is also available with a low tack peal-able adhesive allowing you to use it on a more temporary basis and when removed no adhesive residue is left behind! Standard Cloth Tape has a glossy finish, however we also supply Gaffa tape with a Matt Finish which does not reflect the light, making it the Number 1 Choice for Theatres when securing Cables, the audience will not see the bright Theatre Lights reflecting off the Tape during a show! Remember! We will beat ANY UK Price* We are here to save you money!